Conservative Party leaders believe declaring war on the environment and aggressively promoting fracking for shale gas is to their advantage. But it is bad for business and the economy. We are accustomed to politicians breaking their promises. So there was more disappointment than surprise, therefore, at the speed with which prime minister David Cameron’s promise that his would be ‘the greenest government ever’ was abandoned. A succession of issues from selling off the nation’s woodlands to culling badgers or another runway at Heathrow, quickly tested his resolve. They found it wanting. He never did promise that the planning system was safe in his hands or that, too, would have been a broken promise. So far, so normal. But what we have seen in recent months is far from normal. The Conservative Party now seems to have declared outright war on the environment. Ministers and other Conservative leaders have joined forces with their fellow travellers in the right-wing press to launch a barrage of increasingly intemperate hostility to the environment. Environmentalists, apparently, are really ‘reds under the bed’ intent on making us slaves to Russia and the Middle East, according to Lord Lawson. They are responsible for world poverty and domestic unemployment, says another leading Conservative. And they are causing energy prices to rise and are threatening to make the lights go out, according to all print media to the right of the Guardian. Would that we were so powerful! The lack of supporting evidence for any of these claims is no surprise, there is none to be found, but the violence of the demonisation is. It is so sustained and consistent it is difficult to avoid wondering if there is some guiding hand conducting the orchestra. But if so, it is even more difficult to discover any rational purpose to the effort. The ministerially sponsored media hysteria over fracking brings this into sharp focus. Ministers and the media, wandering in the sterile desert of Britain’s energy policy, have come to see shale gas as an oasis. Just get there as soon as possible and all will be well – energy bills will be lower, our economy more competitive,the countryside protected, no need for renewables, energy security in our own hands. Like most mirages, this one dissolves on examination. Geology and investors are not susceptible to illusions. Tax breaks, community bribes and regulatory holidays may persuade editors but the hard heads who make production investments will probe more deeply. Even with the most favourable winds blowing from the chancellor, there is no prospect of shale gas making a significant contribution to Britain’s gas supplies before 2020. By then, a great deal will have changed. The abundance of gas is clearly a problem for the climate. What is less obvious is that it is also an economic problem. A global market for gas is now emerging and its tie to the price of oil is loosening. The availability of cheap shale gas in the US has already led to a major scaling back of the $200bn gas investments off north-west Australia. Before moving into production, investors will want to be very sure there really is a profitable market for the gas. Other things will also have changed. German utilities have had a brutal lesson in what renewables can do to the electricity market for gas. While subsidies are currently helping this along it is now increasingly clear that solar PV and onshore wind will be at grid parity well before the end of this decade. High bills are already stimulating energy efficiency and policy measures under electricity market reform will add further downward pressure on demand. And then there is the increasing production of biogas. Serious investors will proceed cautiously in the face of such growing uncertainty. They will also be watching the political reaction to fracking. Investing in exploration to secure an option is onething, production quite another. 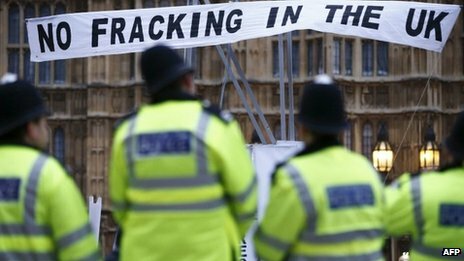 Thirty five Conservative MP s, including several cabinet ministers, represent constituencies which could be licensed for fracking. Adding political risk to all the others associated with fracking will not accelerate investment. Which begs the question of what do Tory ministers hope to accomplish by their aggressive promotion of fracking? They are certainly not helping the industry. The extractive industries now have a huge body of hard-won experience on how to go about inserting major projects into sensitive areas. The arrogant ‘get out of our way’ approach being adopted by the government is the exact opposite of what they have learned. It simply rouses opposition and sows mistrust before developers are in a position to answer many of the inevitable questions with anything other than unconvincing bromides. So what are they doing? I wish I knew. This does nothing to reduce the policy incoherence that has actually chilled investment in the energy sector. It is also difficult to see the political logic of a strategy that takes all the pain right now but delivers none of the benefits for many years. Jam tomorrow is possibly the most discredited of all political arguments. Having got their own voters wrong already on woods, badgers, bees, conservatories,HS2 and Heathrow, what do Conservative election strategists think will be gained by adding fracking to the list? It does, however, add to the idea that the leaders of the party have decided that declaring war on the environment is to their advantage. I am struggling to see where that advantage might lie. It looks more like a gift to the Liberal Democrats who have been given an easy route to distance themselves from the Coalition – though they have yet to show any sign of knowing how to use this gift. This strategy is certainly bad for the environment. But it is also bad for business which has learnt over the past 40 years that conflict over the environment simply adds to costs and damages reputation. It is also bad for the economy because it locks us into business as usual in a changing world. It may also turn out to be bad for the Conservative Party.